Information security specialists and insurance underwriters have been thrown together by corporate managers terrified by headlines about record numbers of data breaches and desperate to find financial protection should the worst happen to them. Insurers are flocking to the burgeoning market, but wondering how they can provide financial protection for customers in an environment in which they can't define how seriously they are at risk themselves. Information security specialists see the basic protections underwriters require as prerequisites and wonder if the sophisticated, best-practices driven policies they enforce will become a reason to deny coverage later because they go beyond the limited requirements demanded by underwriters. The gap is narrowing, but is still wide and dangerous, as you'd expect of any two groups charged with cooperating to defend an organization from attack without even being able to agree what they both mean by the word "risk." By signing up for this webcast you become part of the discussion and of the survey that will provide many of the answers presented jointly by SANS Institute and insurance-industry counterpart Advisen, Ltd. And by sponsor PivotPoint Risk Analytics. Get highlights of the survey from our panel of experts, who will also talk about the development of cybersecurity standards, legislation, and acceptable levels of risk and how to create sustainable digital and financial protection in a cyber environment that gets more threatening every day. 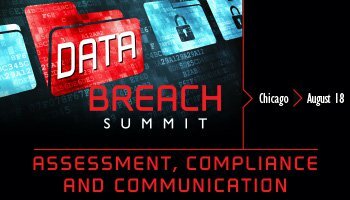 Join us at the Data Breach Summit to learn even more on this topic. The summit brings together CISOs, risk managers, communication execs, insurers, attorneys, and security professionals to discuss the complexity of a data breach and how to prepare your organization for the inevitable. Dave Bradford is co-founder and chief strategy officer for insurance industry analytics provider Advisen, Ltd. Prior to co-founding Advisen in 2000, Dave spent 20 years in the reinsurance industry in underwriting, marketing and strategy-development roles. He was most recently a senior vice president with Swiss Re where he led the Global & National Division of Swiss Re America, a $500 million profit center. Prior to Swiss Re, Dave was a senior vice president at Reliance Reinsurance Corp where he founded and managed the Special Programs Department. Dave began his career as an actuarial analyst and treaty underwriter with Allstate's Assumed Reinsurance Division. Julian Waits is president and CEO for PivotPoint Risk Analytics, where he is leading the charge to establish a new category of solutions - cyber risk analytics- which quantify an organization's cyber value-at-risk in dollars and cents, allowing them to make better decisions regarding cyber security and cyber insurance investments. With more than 20 years in IT and security, Julian has served as the president and CEO of ThreatTrack Security, CEO of Brabeion Software Corporation and in senior leadership positions at Archer Technologies, e-Security and BNX Systems. Julian is an alumnus of both Loyola University of New Orleans and Xavier University of New Orleans.